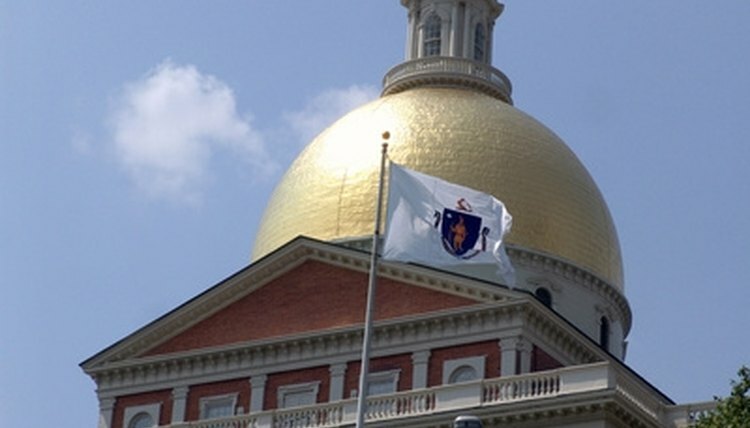 Massachusetts's law states the Registrar of Motor Vehicles must suspend an operator's license under certain conditions and has the discretion to suspend under other conditions. The Registrar passes that duty to RMV officers. Reasons for automatic suspension include criminal acts, such as drunk driving, civil infractions such as non-payment of child support, or driving-related violations such as receiving three speeding tickets in one year. Many more causes exist. The Registry may also suspend a license for improper operation, or for other reason at its discretion. The Driver Control Unit of the Registry's main office in Boston tracks all suspensions. Call the Driver Control Unit at 617-351-7200 or write to it at Post Office Box 55896, Boston, MA 02205. Ask for a Hearings Officer's determination of a possible suspension of your license to operate a motor vehicle. If you don't have a complicated driving record, he can tell you of a suspension, but nothing else on your record. Obtain your diving record if you do not get a Hearing Officer's determination. It will cost $20. You can order a record on the Registry's website at www.mass.gov/rmv from the "Online Transaction" page. Have a credit card ready. Or, you can call the Registry's Telephone Center at 800-858-3926 to order a copy of your driving record. Again, have a credit card ready. You can also mail a request, with a check for $20, to Registry of Motor Vehicles, Court Records, Post Office Box 55896, Boston, MA 02205-5896. You can visit any full-service branch of the Registry to request a copy in person with a check or money order for $20. Request a hearing if the driving record is unclear. Call the Driver Control Unit at 617-351-7200 and ask to schedule a hearing at the hearing site closest to you. The Registry has hearing sites in Boston, Brockton, Lawrence, South Yarmouth, Springfield, Wilmington and Worcester. A Hearing Officer will explain any suspension of your license and how to reinstate your license. Charles Mathewson is a freelance writer residing in Plymouth, Mass. He worked as a newspaper reporter and editor beginning in 1988 for "Memorial Press Group" in Plymouth, Mass. and the "Brockton Enterprise." He has also published on Patch.com. Mathewson earned a Bachelor of Arts degree from Goddard College. He was selected to participate in the Nieman Seminar for Narrative Editors at Harvard University. Mathewson, Charles. "How to Find Out If My MA License Is Suspended." , https://legalbeagle.com/6069034-out-ma-license-suspended.html. Accessed 18 April 2019.